Music is an easy way to celebrate Appalachian culture. All American music can be traced to Appalachia. That’s where the cultural blend of European and African musical and rhythmic forms came together. Everything from jazz, old-time country music and Dixieland, to Cajun, soul, R&B, and rock ‘n’ roll, is a product of Appalachia’s cultural fusion. When traveling in the Blue Ridge province, check out heritage music trails, where you’ll find concerts, festivals, and jamborees to enjoy as a member of the audience or as a participant on the dance floor. I talk about three of them—plus another in North Carolina’s coastal plains—in this post. The Crooked Road in SW Virginia covers 19 counties. With nearly 70 venues and festivals, and over 25 wayside exhibits, even passers-through can find ways experience one of the richest music traditions in the world. A wayside exhibit might celebrate where a legendary group formed and played, or where a song was written. All of them include panels to read and a five-minute audio recording about the heritage music and musicians in that location. The audio can be heard on your vehicle’s FM radio. How cool is that? And while we’re talking about The Crooked Road I wouldn’t want you to miss Floyd General Store, which has a jamboree every Friday night. This video captures the vibe perfectly. I’ll be bringing my motorcycle tour guests there in June, 2018. 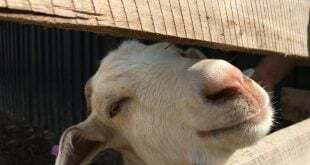 Even if you’re not able to visit Floyd on a Friday night, be sure to stop by and eat at the store, buy some souvenir music, then stroll the main drag’s quirky shops. I’ll just say, “You’re welcome,” in advance! 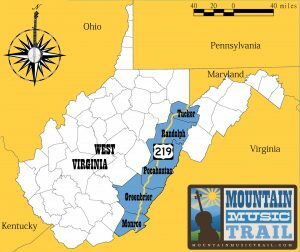 West Virginia’s Mountain Music Trail (MMT) area is pictured right. This region experienced devastating floods in 2016 and businesses are open and ready to welcome visitors. The summer festival season is strong. 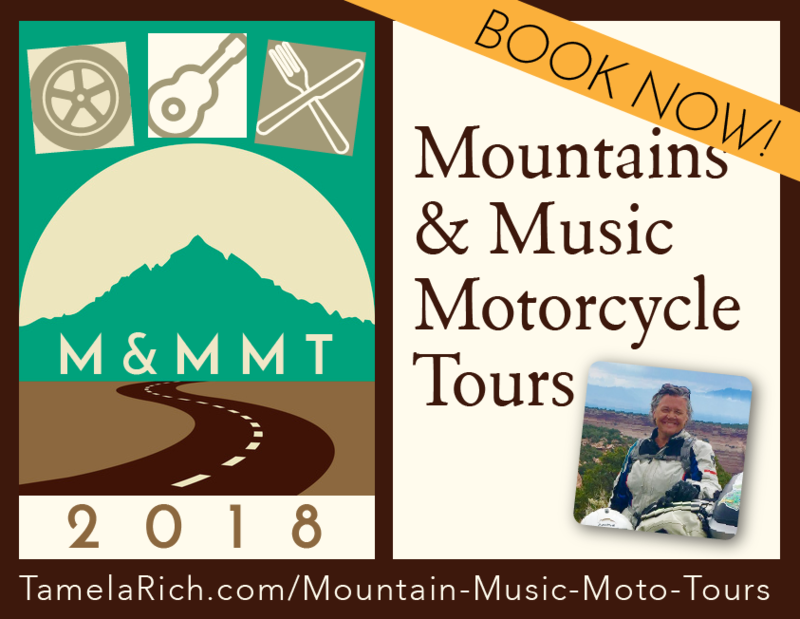 The MMT encompases some of the loveliest country in America, and I’ll be bringing my motorcycle tour guests to Pocahontas County in June, 2018 for a private concert. I attended a MMT concert at the historic Marlinton Opera House in 2015, a real treat! North Carolina is partially in Appalachia, partially piedmont and partially coastal plains. 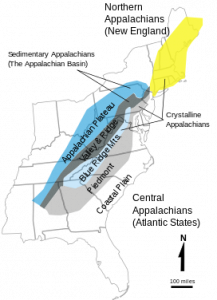 In the Appalachian part of the state, the Blue Ridge Music Trails consists of twenty-nine counties in the western third of the state, a region that includes the Blue Ridge Parkway. In the coastal plains region, North Carolina offers us the African American Music Trails. They take you through the rural landscape of Eastern North Carolina where green tobacco fields and historic tobacco warehouses dot the landscape. This “Our State” video will make you want to dance!